Cat Rescue in Chippenham was started over 20 years ago by cat lover Jean Gilbert and a friend who has since retired after both originally supporting another cat rescue organisation for some time. 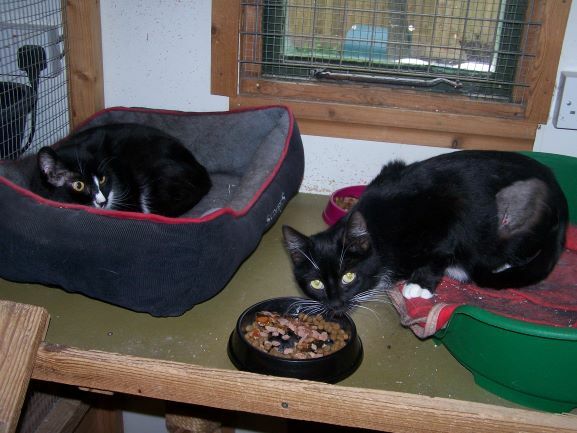 The charity typically rehomes up to 250 cats and kittens in any one year. She has foster mothers dotted around Wiltshire who also care for the cats. The main foster mums as well as taking in the usual range of cats also specialise in area such working with feral cats and also hand raising kittens. We also have some been successful socialising of feral kittens. They group tend to have up to 50 cats with them at any one time and get through dozens of tins / pouches of cat food every day. The charity is run entirely by unpaid volunteers and relies on donations to help pay for food and of course vet bills which runs into many thousands of pounds each year. Anyone who thinks they could give a cat or kitten a suitable home or would like to help the charity can contact Mrs Gilbert on (01249) 653443 or Jeanne Stone on (01249) 730587 alternatively look at our ‘how you can help’ page.